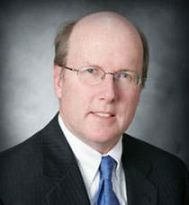 Attorney C. Daniel McGillicuddy was born and raised in the city of Buffalo, New York. He earned a Bachelor of Arts degree at Canisius College, where he served as News Editor of the campus paper, The Griffin, and was a student member of the College Planning Board. In 1985, Daniel earned his Juris Doctor from the University of Dayton School of Law, where he was a member of Phi Alpha Delta Legal Fraternity and interned with the Hon. Richard Koessler in the Montgomery County Court of Common Pleas. Since 2007, Daniel has focused his practice at William Mattar Law Offices on helping people who are injured in New York car accidents. Daniel is dedicated to his clients and helping them resume a normal life after a car crash injury. Among the other passions in Daniel’s life, he holds three especially close: his children, reading, and fine music. Daniel’s son and daughter are pursuing chemistry and nursing at The University of Chicago and SUNY Brockport School of Nursing, respectively. With the kids away at college, Daniel has time to catch up on the latest biographies profiling business executives or political figures. Daniel is also a passionate music fan with an appreciation for jazz and classical, regularly attending events, such as the Buffalo Philharmonic Classical Concert Series and Buffalo Chamber Music Society concerts.